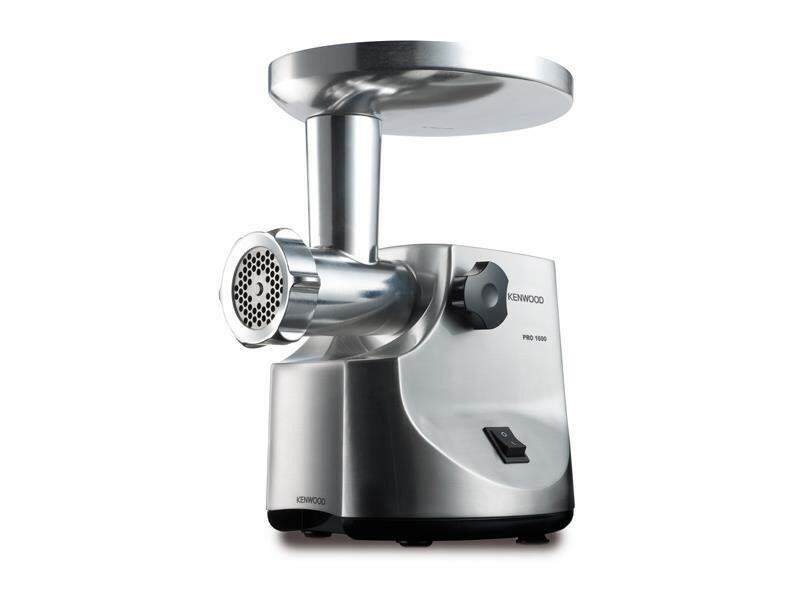 The Kenwood MG510 1600W Meat Grinder is not only a very impressive kitchen appliance but a very sleek and stylish piece of kit which is ideal for any inspiring chef or people who just love making home-made food. The powerful 1600W motor ensures that the grinder easily minces your meat and provides upto 2kg of minced meat per minute.The Kenwood MG510 1600W Meat Grinder comes with a die-cast metal hoper, meat dish and cover making this grinder very modern and easy to use. The Kenwood MG510 1600W Meat Grinder has 3 different mincing screens, fine, medium and coarse, these enable you to perfectly mince your meat to your liking. There is also a sausage and kebbe attachment which ensures you can explore all your culinary skills. There are dishwasher safer parts which means there is less cleaning for you and makes the grinder seem brand new with every use.